In Rocky Mountain National Park the weather can change in a flash. Warm autumn days can turn to snow cold blizzards in the blink of an eye. This September day on the Bierstadt Moraine, high above Bear Lake Road, these fall aspen trees had just begun the changeover from summer greens to the golden yellow of fall. 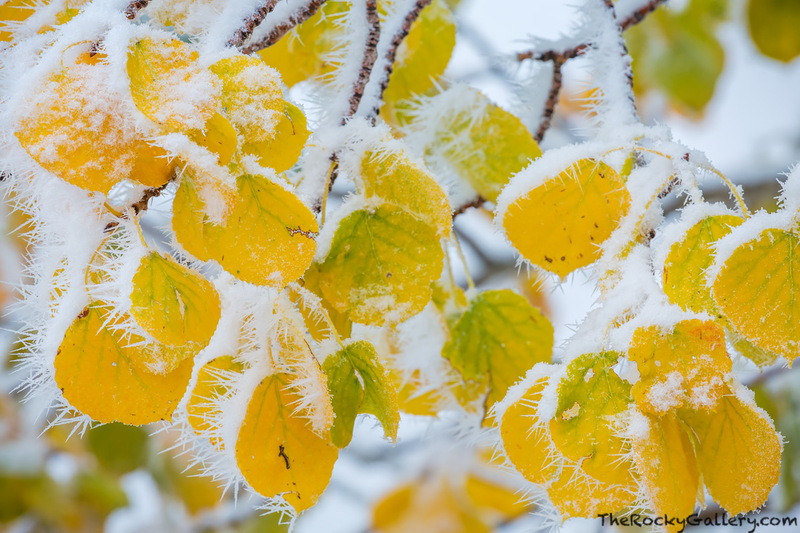 Snow overnight in RMNP froze these aspen leaves in place and coated them with beautiful rime ice. Photo © copyright by Thomas Mangan.